SCM produces a variety of 316L stainless steel deck accessories to complete the ship equipment. Lift limber board: an original SCM classic, made by pressing and casting, completely assembled and hand polished. The cover lifts for easy access to the handle. Can be padlocked. Flush deck installable. Drains floor: 35 or 50 mm diameter drain pipe with flush deck installation. The symmetrical petal-shaped grid can be removed for maintenance. threaded, customizable with written gasoline, water ecc. 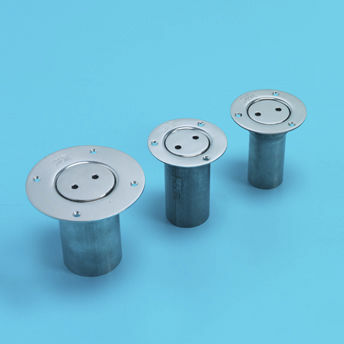 Air vents: made in spoon-type version or with vertical and horizontal fins, with drip pan to discharge water. 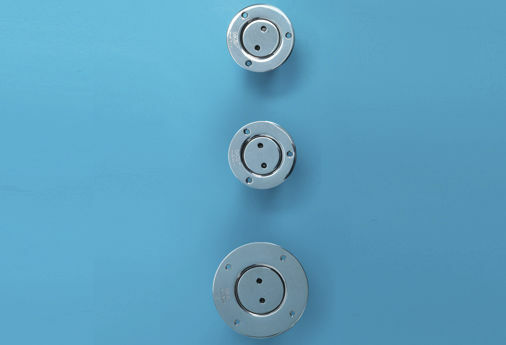 Built to match the geometric shapes of the portholes, h 150/200/250/300 round, oval, or elliptical. In addition to the standard sizes, we can make them to drawing according to the customers specifications. Profiles: made in a variety of shapes and sizes, pickled and hand polished on the edges. In addition to the standard sizes, we can make them to drawing according to the customers specifications.